The TE-2200 offers twenty-five (25) raised department keys to categorize the various items groups for quick and easy access. An abundance of functionality for small to medium sized operations that include a scanning file, three (3) price levels, detailed operator tracking, scheduler file to automate operations, reporting strings and macro keys that link several key operations into one (1) key depression. Contact us http://casio4business.com/contact for more information regarding this great offer for the TE-2200 and PAX combo. Financial, Department, PLU, Clerk, Hourly, Mix and Match and Scanning Items are some of the reports available to owner/managers to analyze their business sales activities. The TE-2200 offer three (3) reporting periods that can be used for Daily, Monthly and Yearly reports. 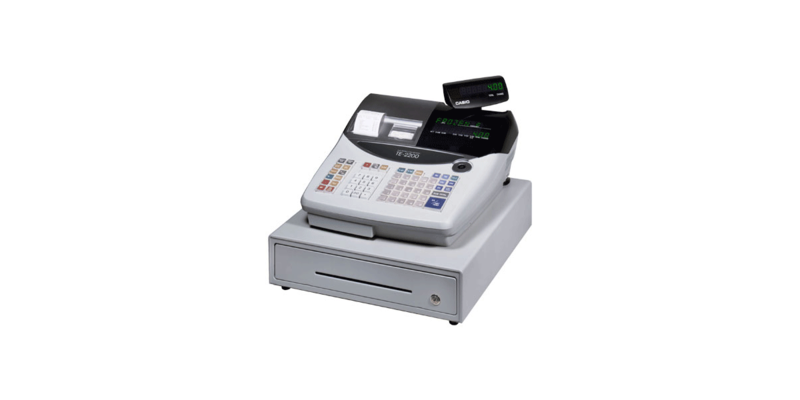 The TE2200 can scan up to 2,000 items (memory permitting) and provide inventory counters for these items. Scanning items can be added directly into the file through programming or during registration using the Not Found Item functionality.